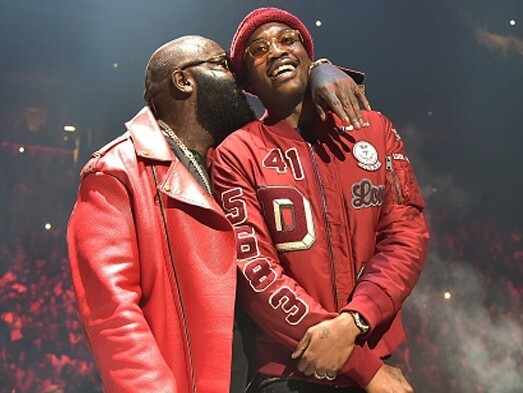 Although Rick Ross has seemingly been mute on all matters concerning the Rap beef between his protege Meek Mill and Drake since it began, the MMG boss belatedly addresses the rivalry while hanging out with Tim Westwood in an exclusive interview. Although 2015 could be labeled as a tough year for the Dreamchaser emcee as Westwood suggests, Rick Ross has offered a different outlook on the matter. Consequently, Meek Mill became social media’s favorite person to clown and was also sentenced to 90-days house arrest plus six additional years of probation for violating his probation towards the end of last year. Ross details his own “tough year” stemming from him being placed on house arrest in May 2015 for allegedly pistol-whipping the groundskeeper of his Georgia mansion.